Reward yourself and your partner, or bring your whole family and make your escape to Bali. 2 exciting nights await you at Kanishka Villas. 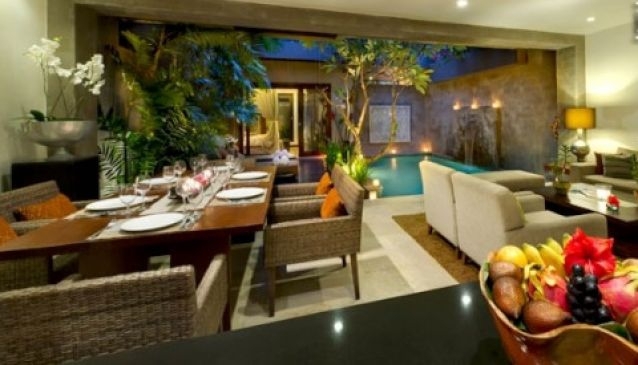 Within a short distance of the villas you will find a dazzling array of restaurants, bars and nightspots in Bali's fashion trendy and upmarket Seminyak. Enjoy the Intimate Honeymoon Package - 1 Bedroom Pool Villa. 2 Nights stay in luxury villa. Kanishka welcome drink and chilled towel on arrival. Fresh fruits and flower arrangement in villa. Kanishka Villas, 23 units with 1 & 2 bedroom Pool Villas and Jacuzzi Suites. Airline crew discount for all the hard-working aviators who take care of you when you fly. Kanishka understand exactly the care and concern you put into your jobs every time you prepare for your flights.